I realize that is a disgusting quotation to begin a post with, but I have to give props to James Joyce wherever I can. I'm not crazy enough to try to eat vegan cheese plain, or even on a cracker. It would be too devastating, since I just broke up with real cheese. Yes, I also just broke up with bacon. I was kind of a polyamorist. But the Isla Vista Coop was having a sale on macaroni and cheese, so I picked some up. 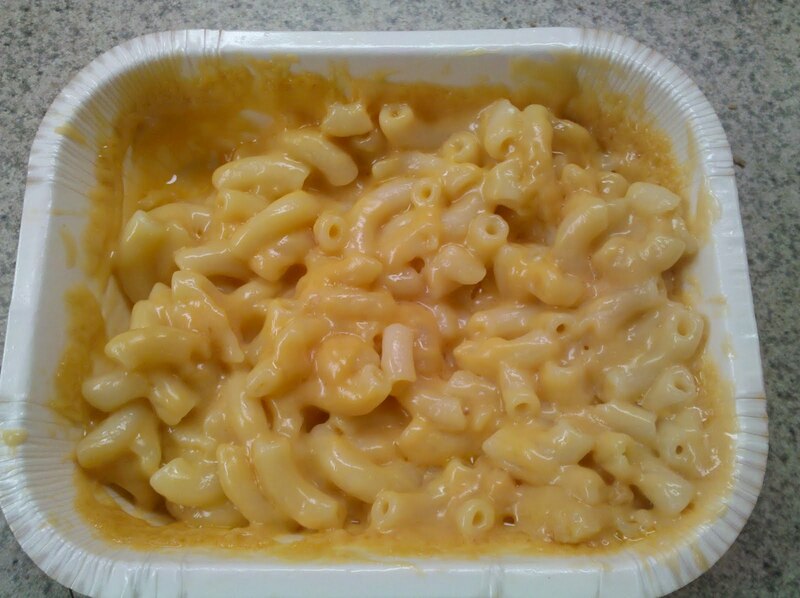 Well, it's not macaroni and "cheese," of course. 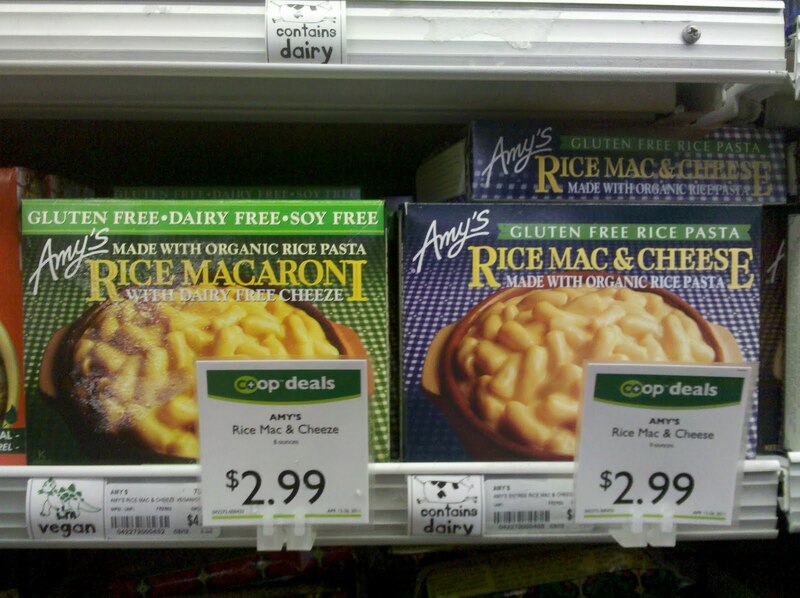 It's Amy's Kitchen brand Rice Macaroni with Dairy Free Cheeze. And yes, "cheeze" is just "cheese" but spelled with a z.
I love the Isla Vista Coop because they have handy labels identifying which foods are vegan and which foods seem like they might be vegan but aren't. The best part about the labels is the little cartoon dinosaur. As you can see, there were two seemingly vegan macaroni and cheese options next to each other in the freezer, but Vegan Dinosaur said to go for the one on the left. The one on the right has a label with a little cartoon cow and the words "contains dairy." I'd heard good things about Amy's Kitchen, which makes only vegetarian (and sometimes vegan) foods. There are recipes posted on their website that involve their foods, and they've put together a 3-week vegan diet that includes mostly Amy's Kitchen products. This seems like the least-healthy vegan option, since most of their meals are frozen. But frozen vegan food would be a good option to have around in case I get lazy one night and don't feel like preparing anything creative. Gross. But all frozen meals are gross when they're still frozen, right? I followed the microwave directions (no way was I investing the time to heat this cheeze up in the oven) and while it cooked, I perused the nutrition information on the box. Here's what I want to know: how come gluten free, dairy free, soy free rice macaroni with cheeze still has 22 grams of fat and 520 calories per serving? 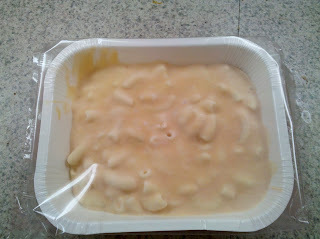 I'm already getting a year's worth of sodium in any frozen meal (including this one), and I'm not even eating cheese! Aha! I found the answer(s) in the ingredients list: high oleic safflower oil and coconut oil. I wasn't surprised that the only way to make a macaroni and cheese substitute that has none of the regular macaroni and cheese ingredients and that doesn't taste like sawdust is to shoot it up with oil. The microwave beeped and I braced myself. I was committed to trying a few bites, at least. Then I could always eat the cardboard box it came in. 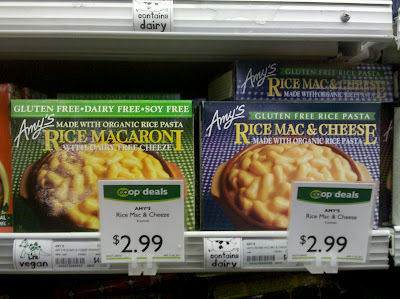 Not only does Amy's Rice Macaroni with Dairy Free Cheeze not taste like sawdust, it doesn't even really taste like cheeze. 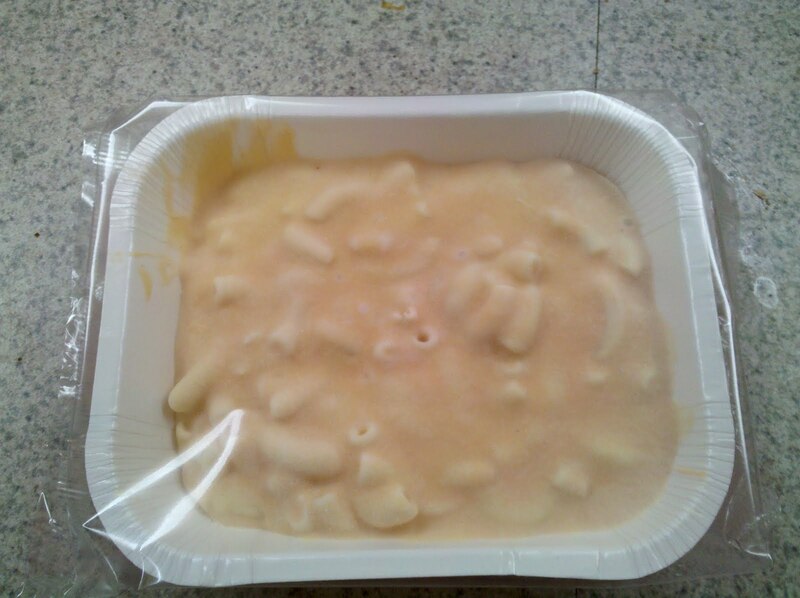 I'd be annoyed if I ordered macaroni and cheese at a restaurant and they served me this dish, but for a frozen meal it's pretty tasty. So this encounter with cheeze was like an OkCupid date that went... okay. It was a little awkward, but that's to be expected. At least I didn't throw up.